For side mounting. 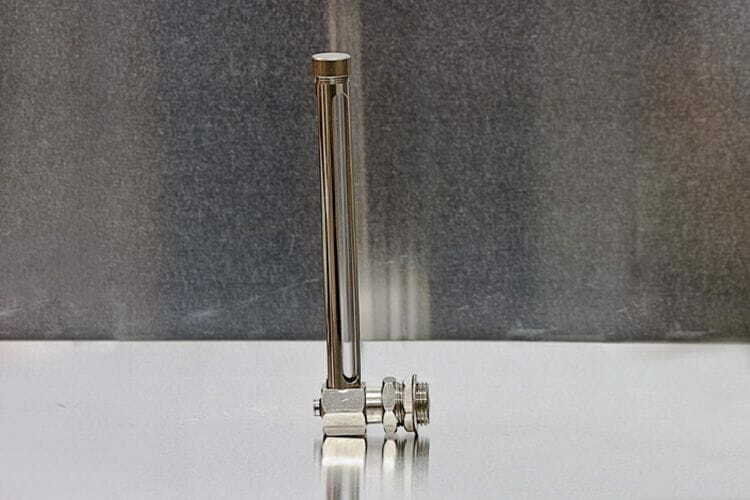 Chrome-plated brass body (st. steel upon request), Pyrex glass tube 1,5 mm. thickness. Threaded connections from 1/8" up to 1/2"BSP-M. Heights from 50 up to 700 mm. Maximum operation temperature 110ºC.